The 6D is Canon's first full frame camera for under $3,000 coming in at $2,099. Looking to break into ski photography but don't have $7,000 to drop on Canon's flagship DSLR, the 1DX? Don't sweat it. 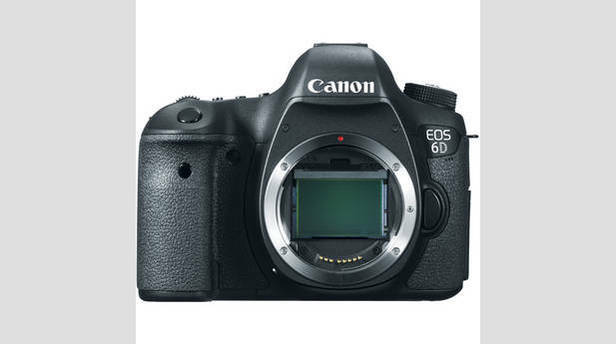 Save your money for a trip around the world and preorder Canon's new 6D, slated to hit stores this December. Why? Canon is taking its full frame sensor, previously only found in its professional cameras, and integrating it into a “prosumer” camera that's well under the $3,500 for their entry-level professional 5D MKIII body. Specs include 4.5 frames per second—good enough for action—and fully functional video capability including audio control. While we haven't tested this camera ourselves, Canon's previous cameras point to this being a winner. Just make sure not to skimp out on a lens—any photographer worth their salt will tell you a camera body will come and go, but a good lens—say Canon's 70-200 F/2.8IS—will be around forever. It can be hard to justify $2,000 for a camera with today's phenomenal consumer rigs on the market, but if you're a serious photographer or thinking about breaking into the business and have the funds to buy one, this camera looks like it won't disappoint.